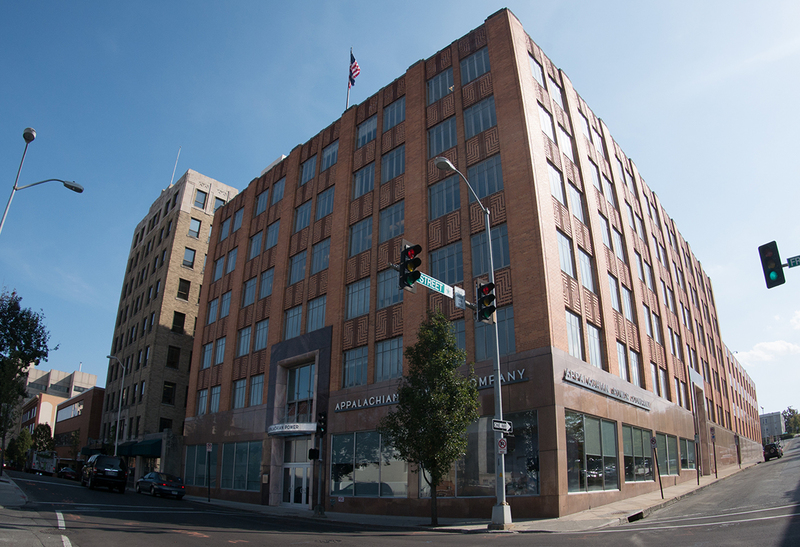 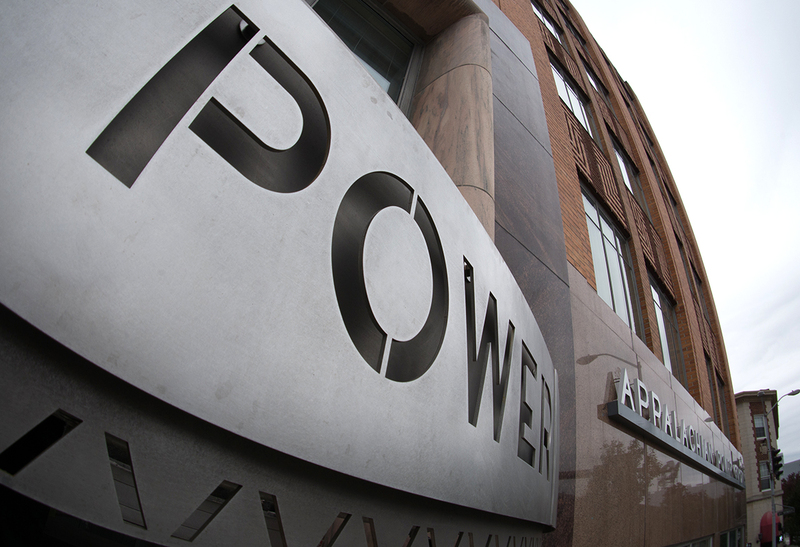 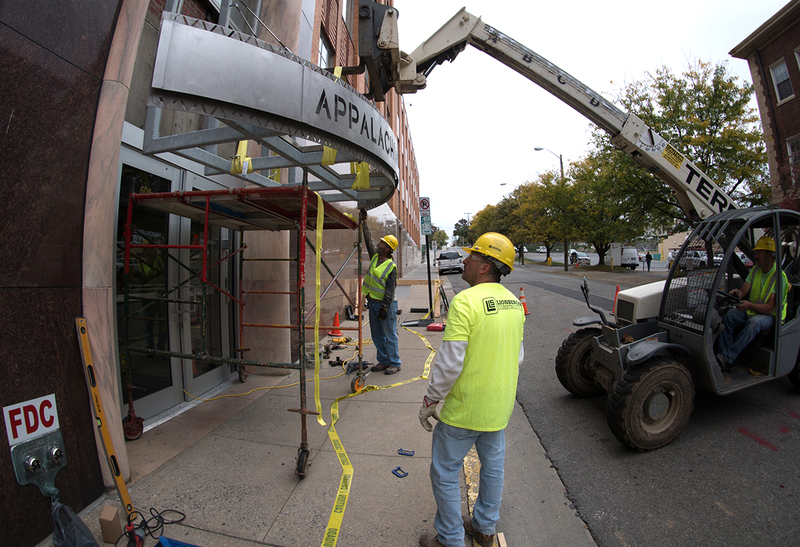 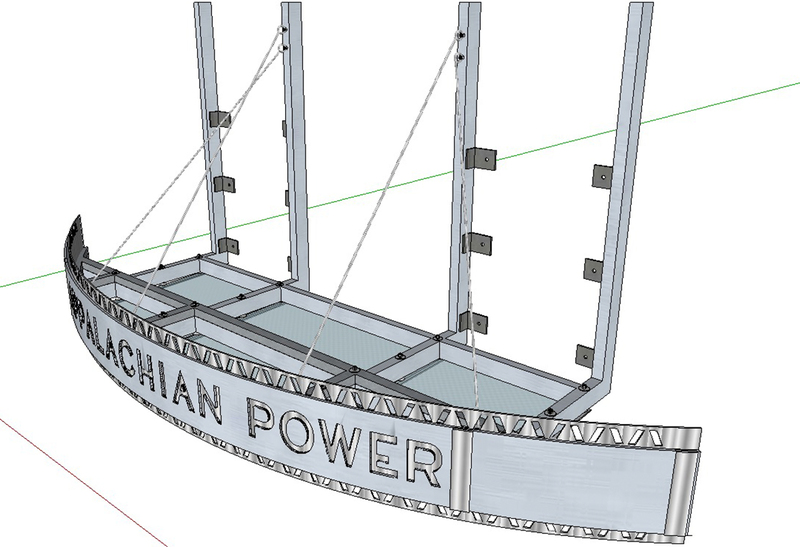 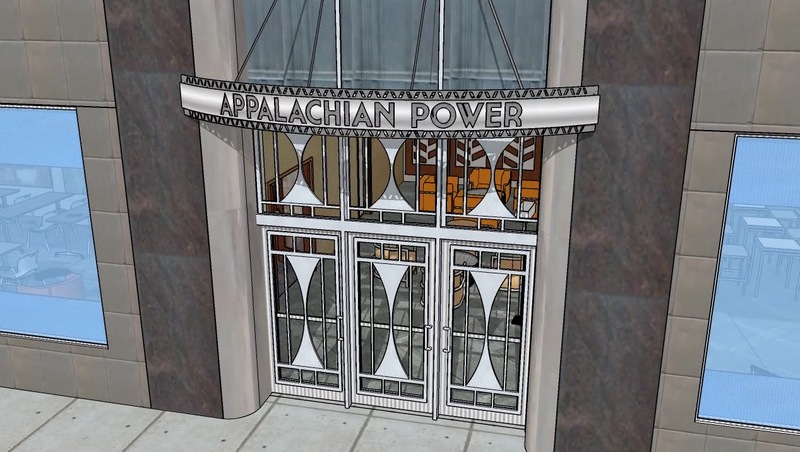 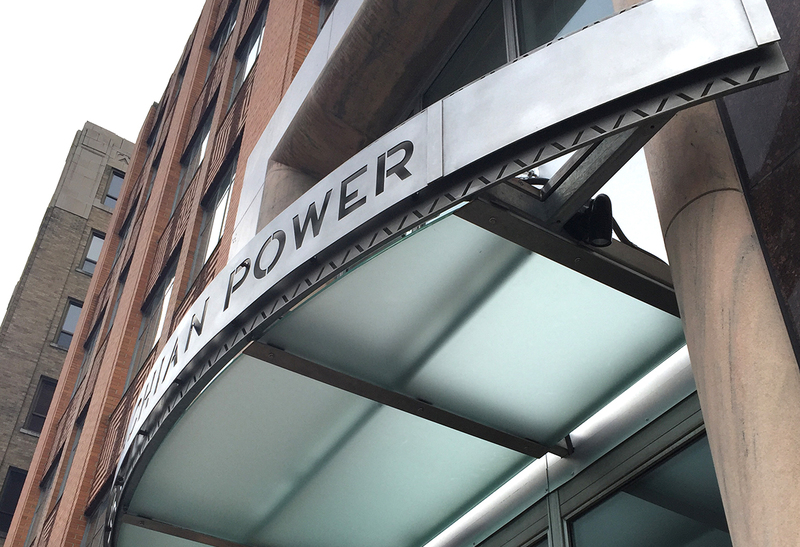 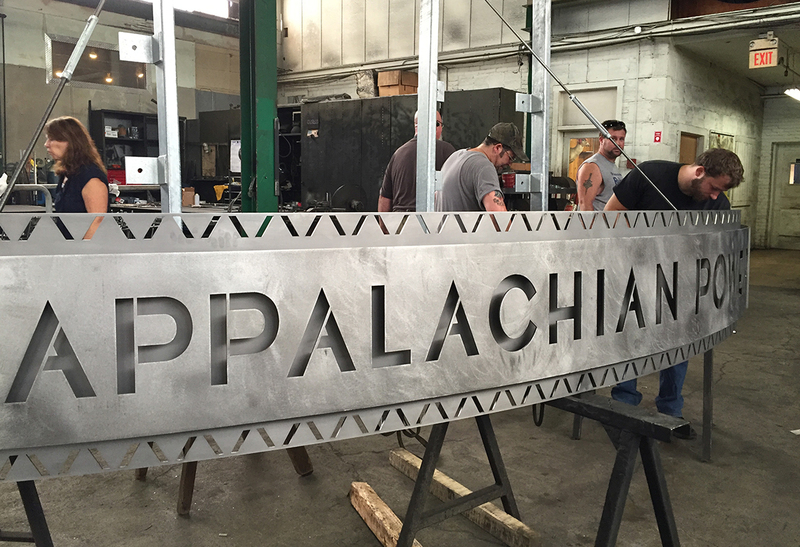 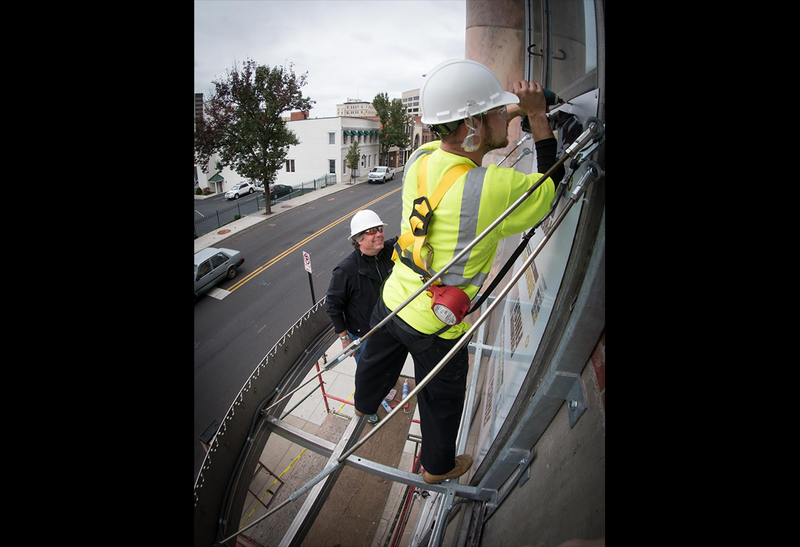 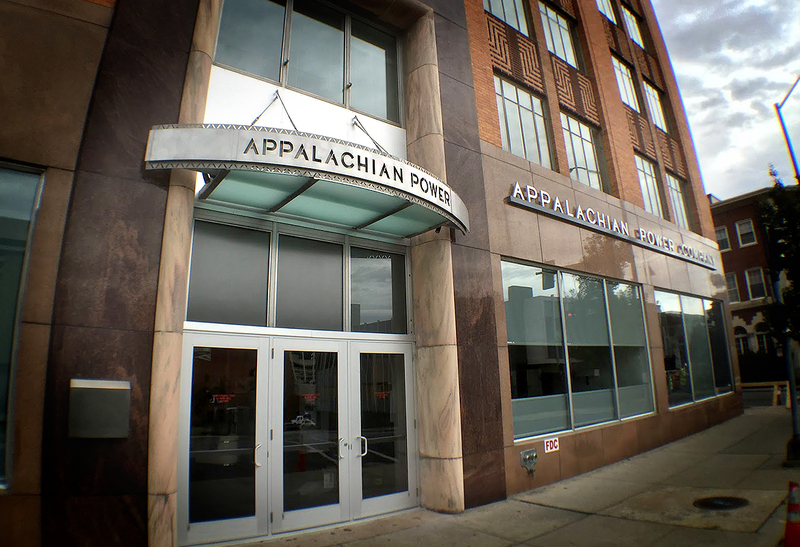 Curtis Elliott Designs Ltd created the new entrance awnings for Appalachian Electric Power's office building in downtown Roanoke, Virginia. 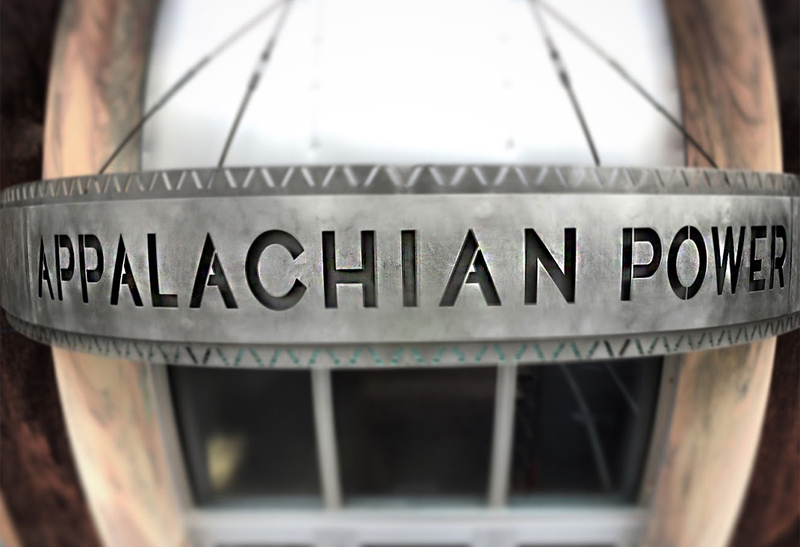 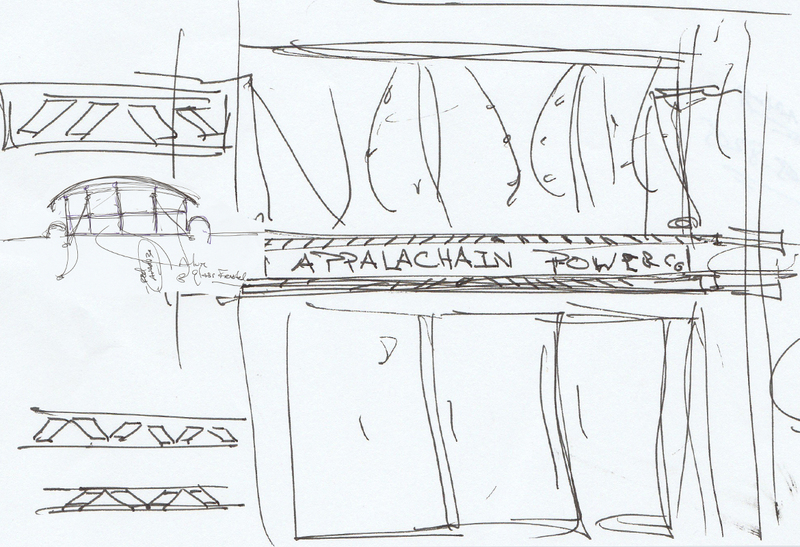 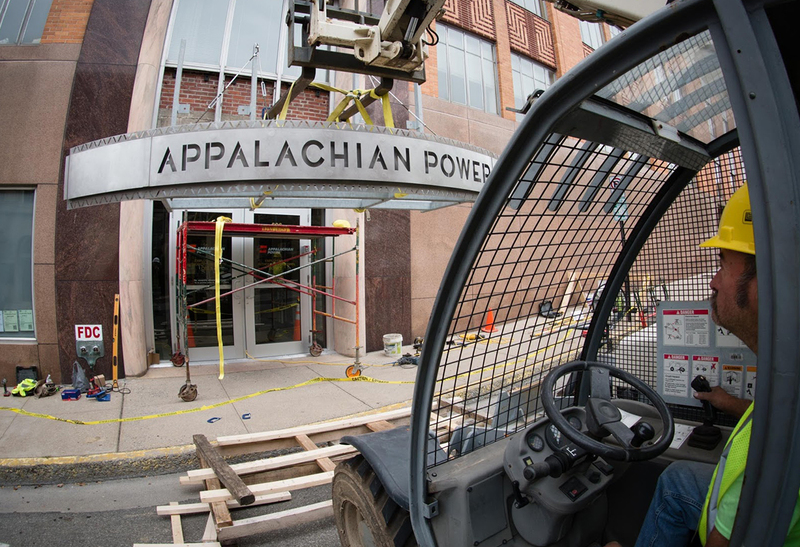 We previously worked with Appalachian Power to redesign the interior of the building and also the visitor's center at the Smith Mountain, Virginia facility. 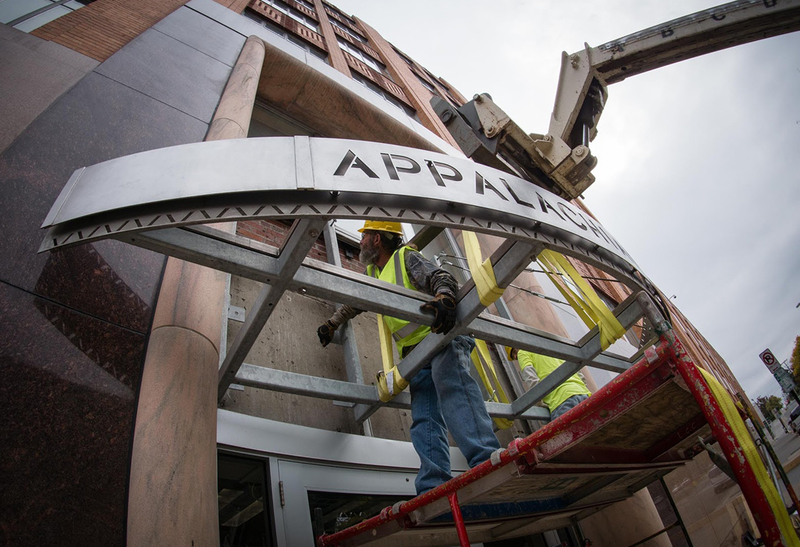 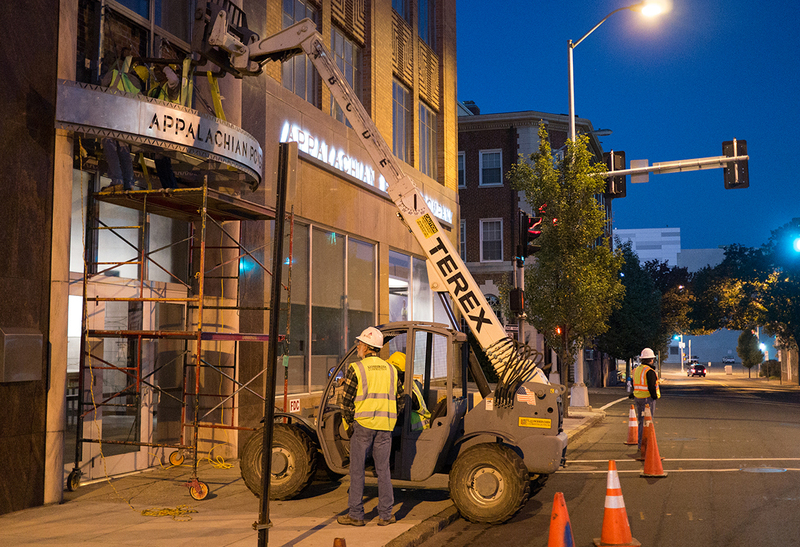 AEP challenged us to create an entrance that honored it's original look but also boldly announced to Roanoke that things have changed. 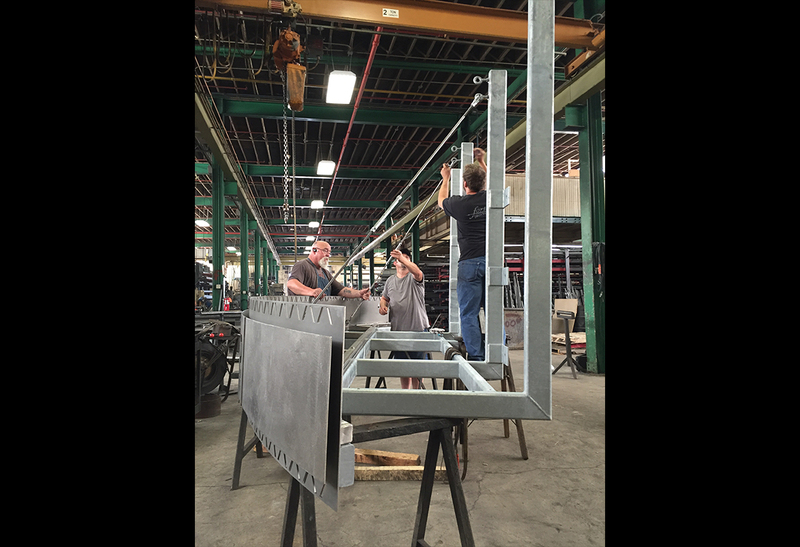 The two stainless steel and glass structures required quite a bit of engineering, planing, time and help but the final results are stunning.